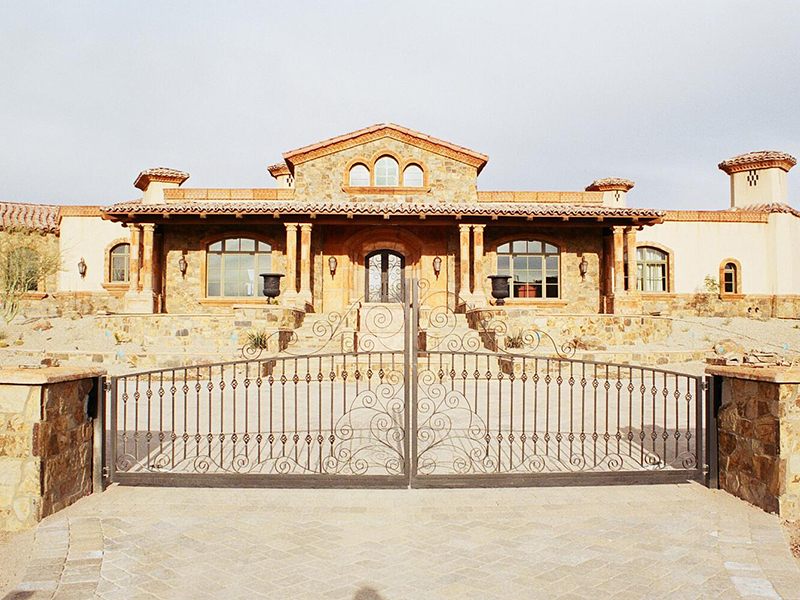 Built with only the strongest materials, our driveway and estate gates provide the ultimate in luxury and security for your home. Available manual or fully automated. 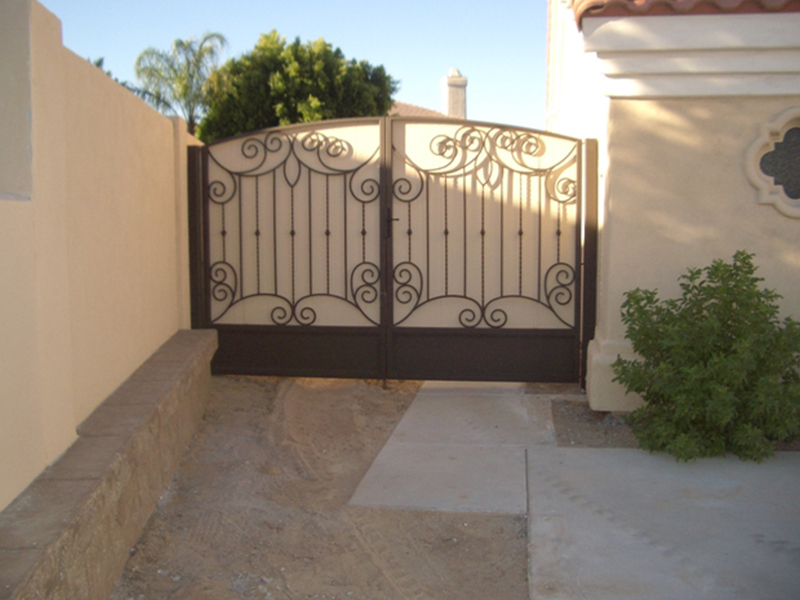 Driveway gates require that you have the proper frame and hinges to prevent the gate from sagging. 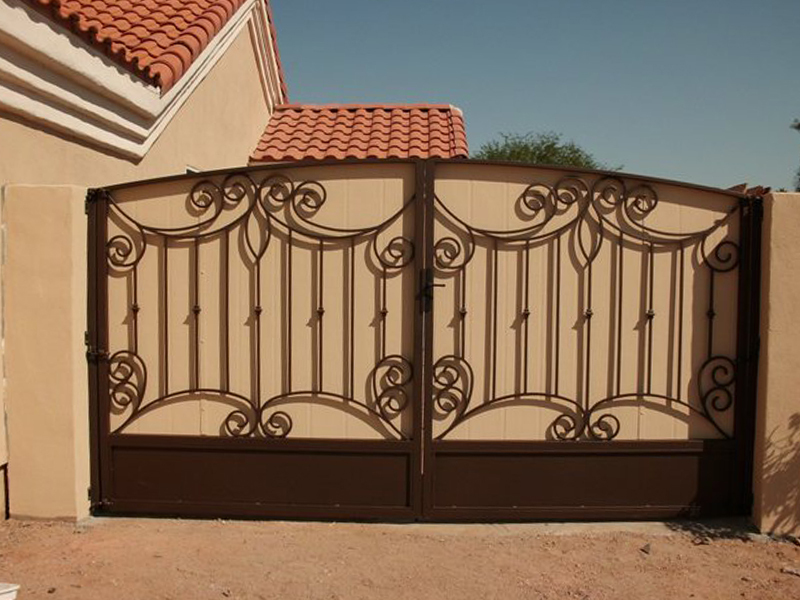 We will also help you in the decision making for automating the gate. 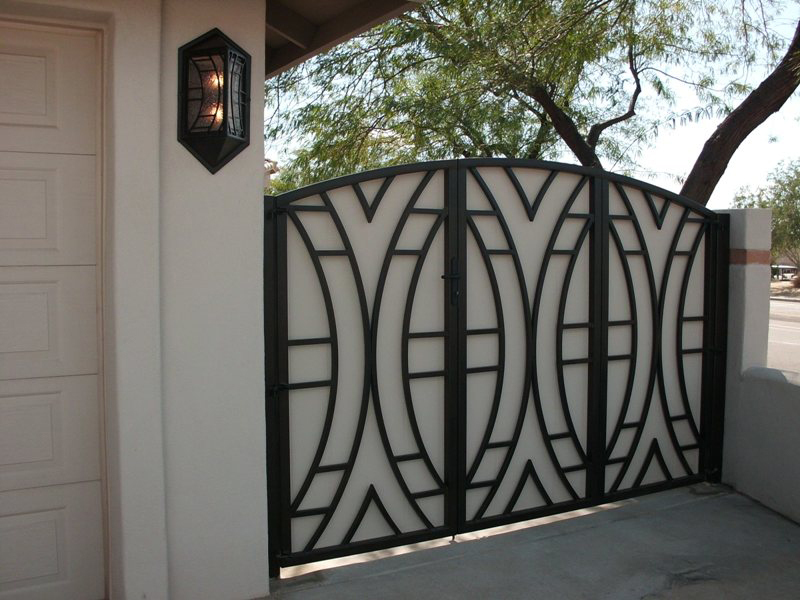 We carry every brand of electronic opener to ensure that you get the best equipment for your gate. 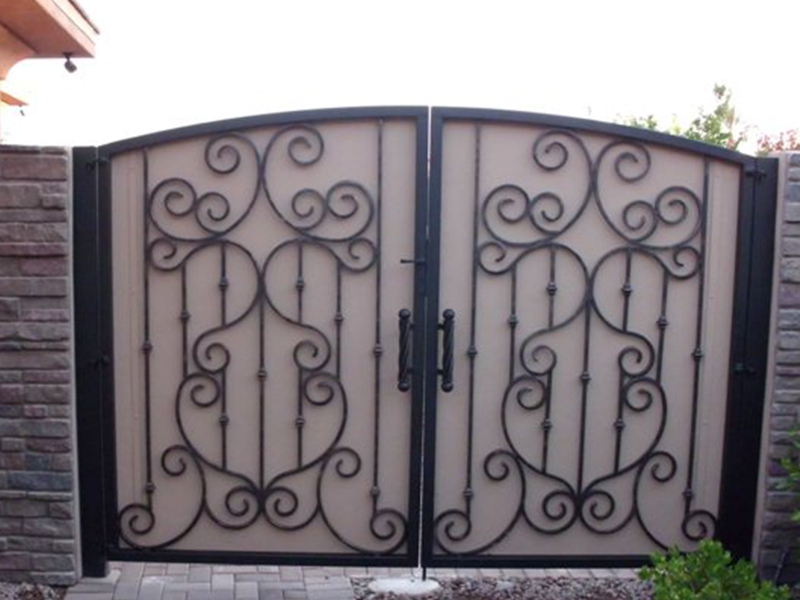 Our gates have few warranty calls and are designed to work every time. The worst thing is pulling up to your gate and it will not open properly. 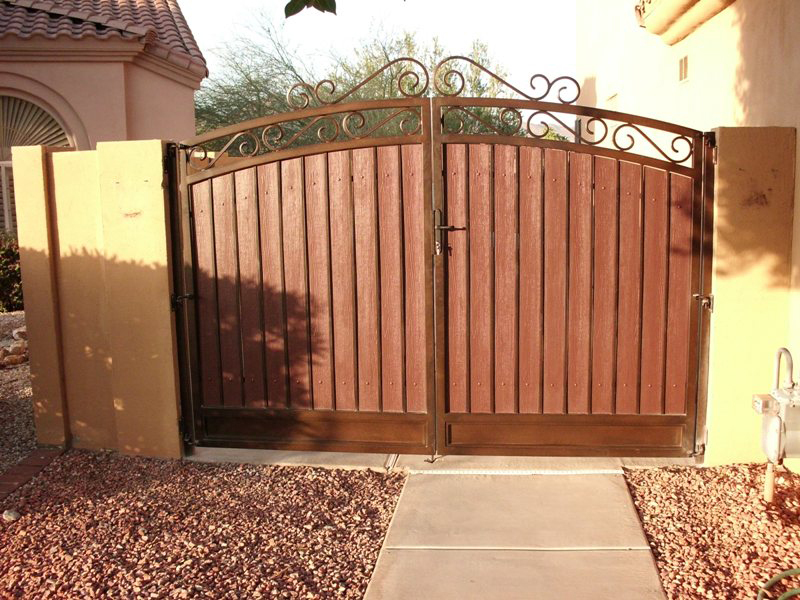 Also we will help you with the permit, fire permits, and will make the gate to your township or city code. 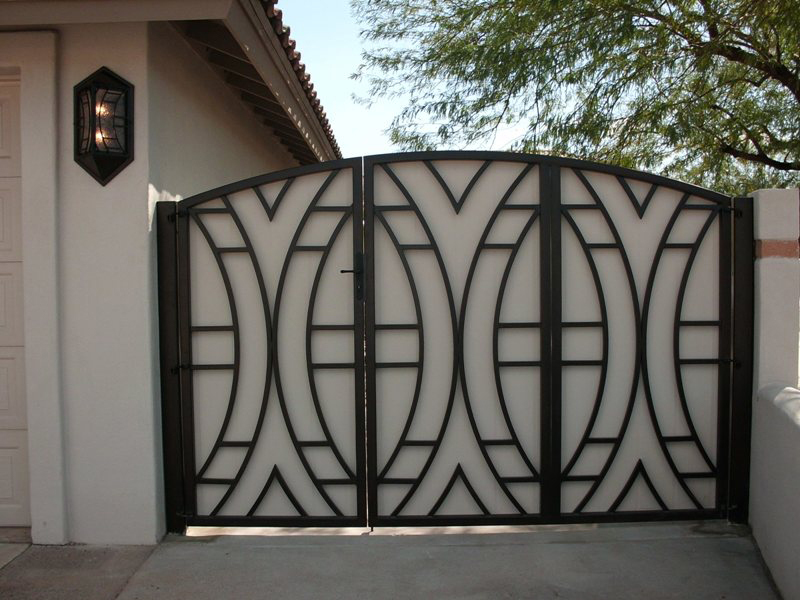 There is a lot to consider when purchasing a gate. We are here to help and answer any questions you have. 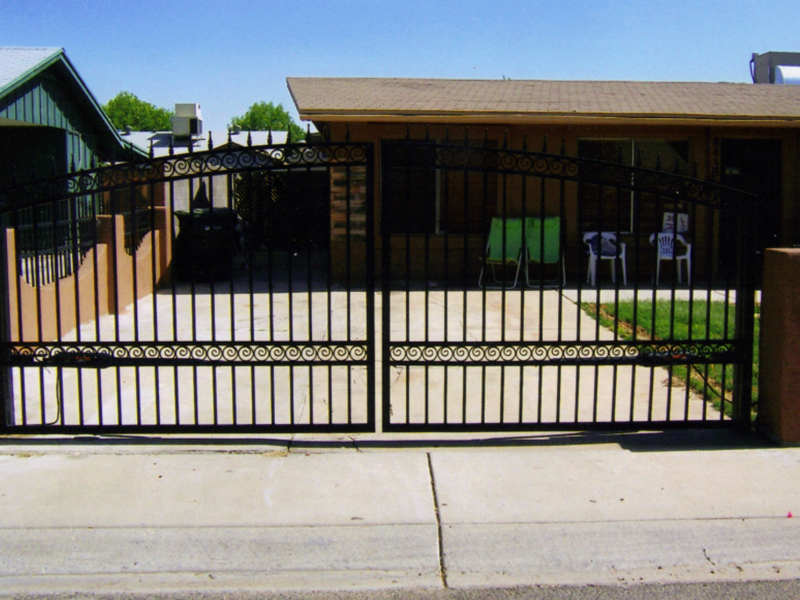 Landmark Iron offers gate operators for residential, commercial and industrial uses. 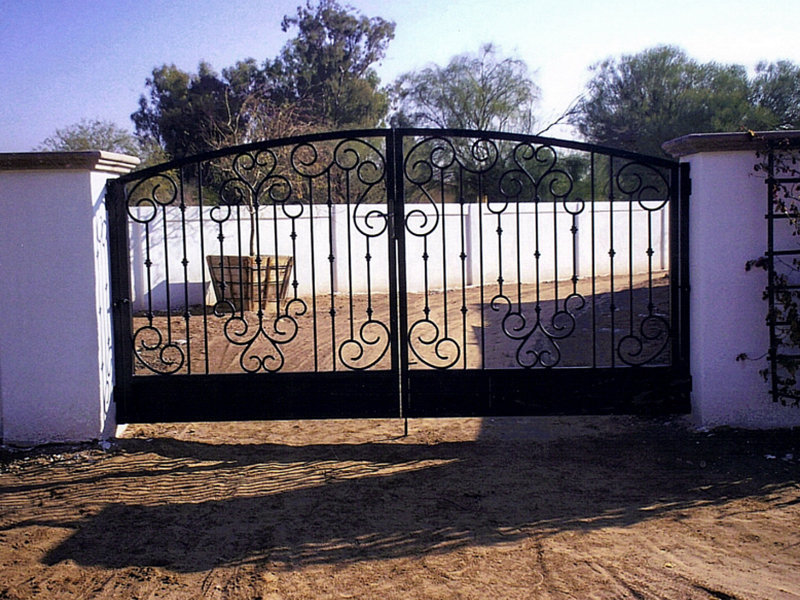 Operators are available for swing gates, slide gates. Some of the options available include: interior and exterior controls, radio controls, digital keypad entry systems, card controls, programmable card readers, telephone entry systems, vehicle loop detectors, time delay systems, photoelectric eyes, intercom systems and warning devices. 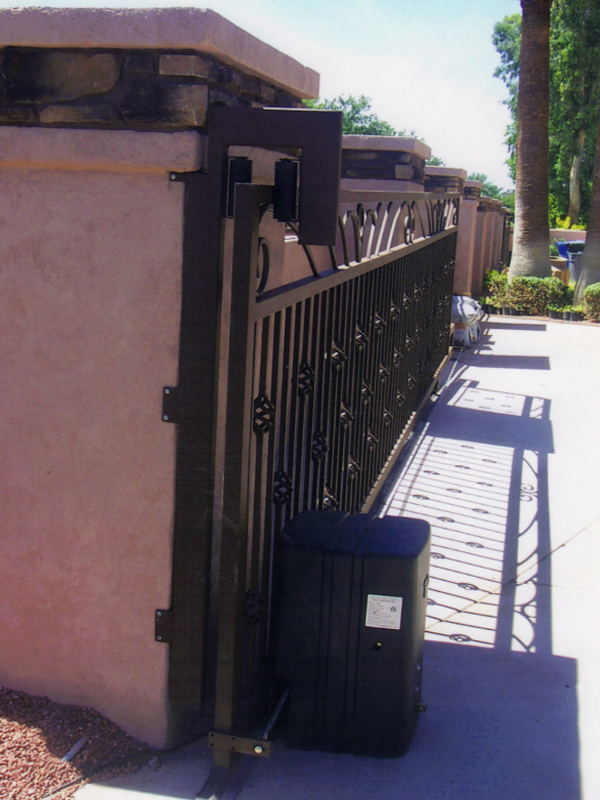 Our swing gate operators come in two basic types: harmonic crank arm style and linear travel style operator. All models are available with master-slave control for a pair of gates. The residential model is offered in single button 1/2 HP 115 and 220 volt openers. All other models are available in all voltages and are equipped with a three button control station. All except model RS are adapted for additional systems and accessories. Operators can be post or pad mounted. Crank drive requires 24″ side space. 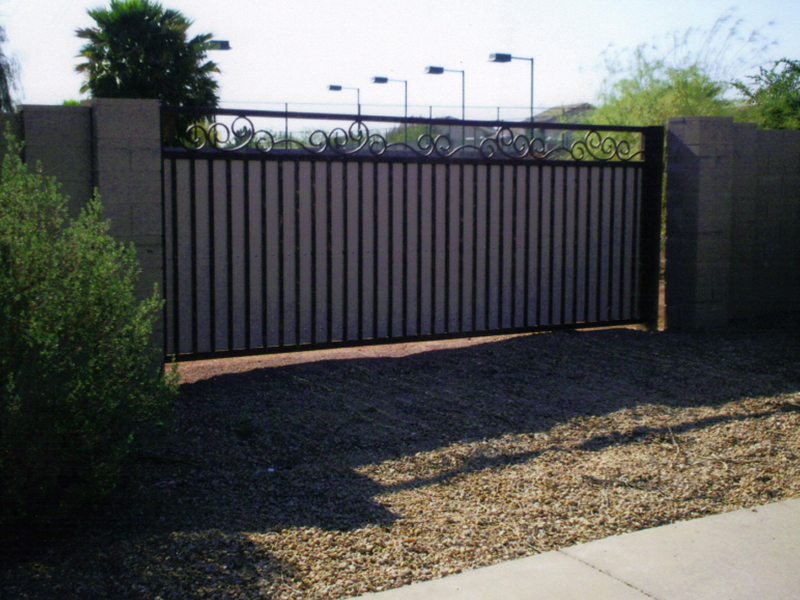 Linear drive requires 60″ side space for gates up to 16 feet and 80″ for gates over 16 feet. Call for limited side space. 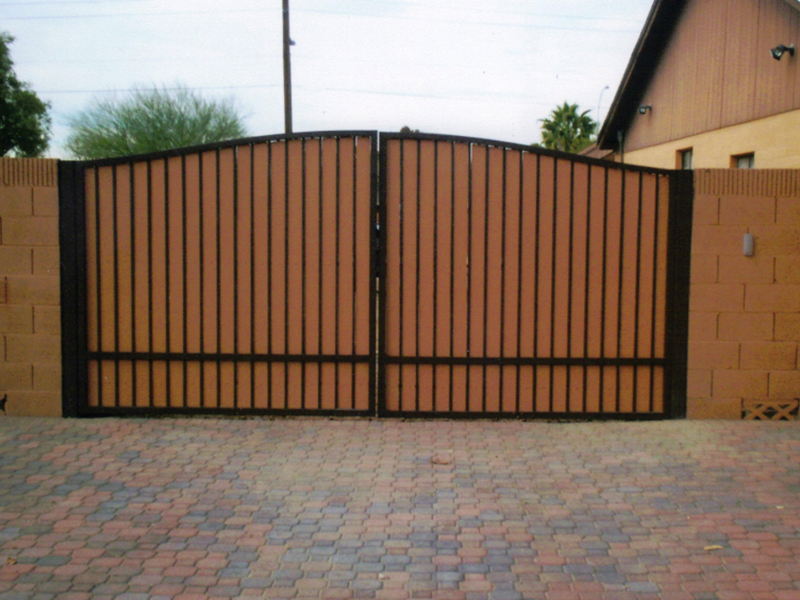 Linear drive recommended on extremely large gates. Two operators are required for double swing gates. 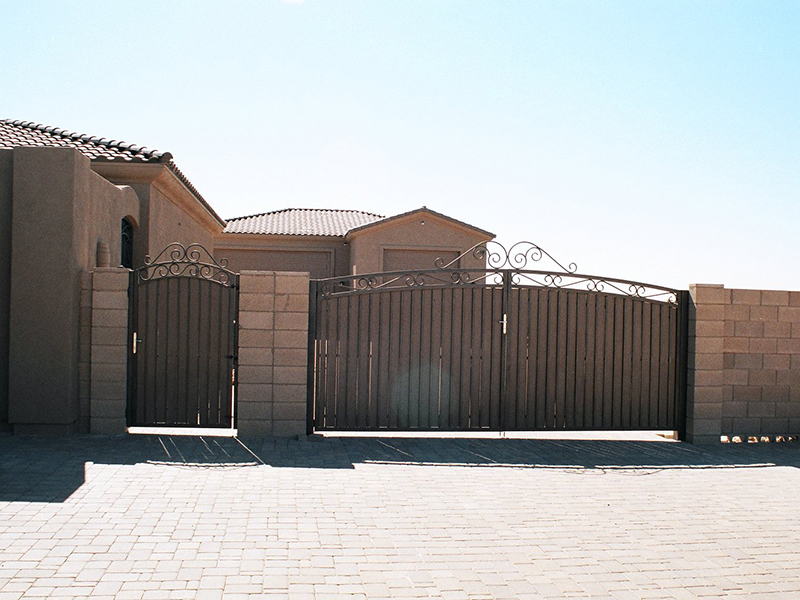 Units are normally master-slave so both gates open from one control or system. Units can be ordered to open independently. 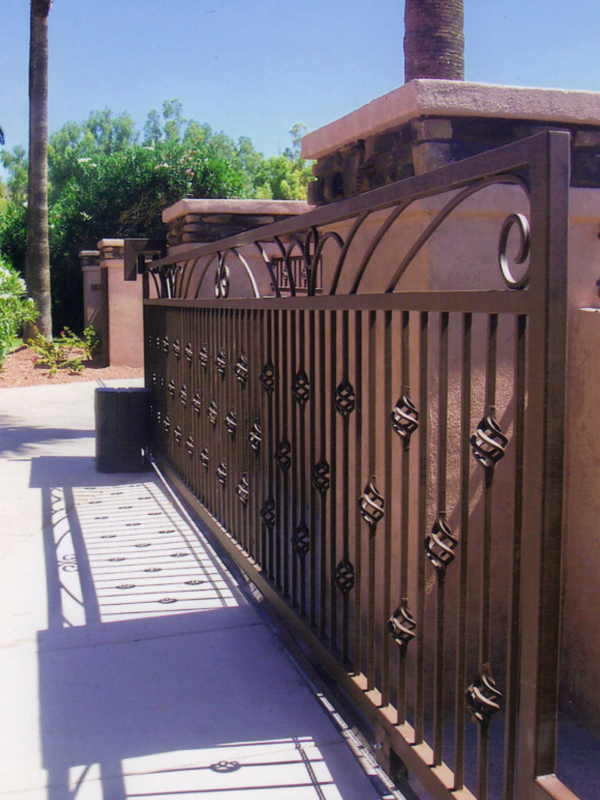 Landmark Iron uses special concrete boards that are used in place of wood for greater durability and life. Which are generally painted to match the color of your home. 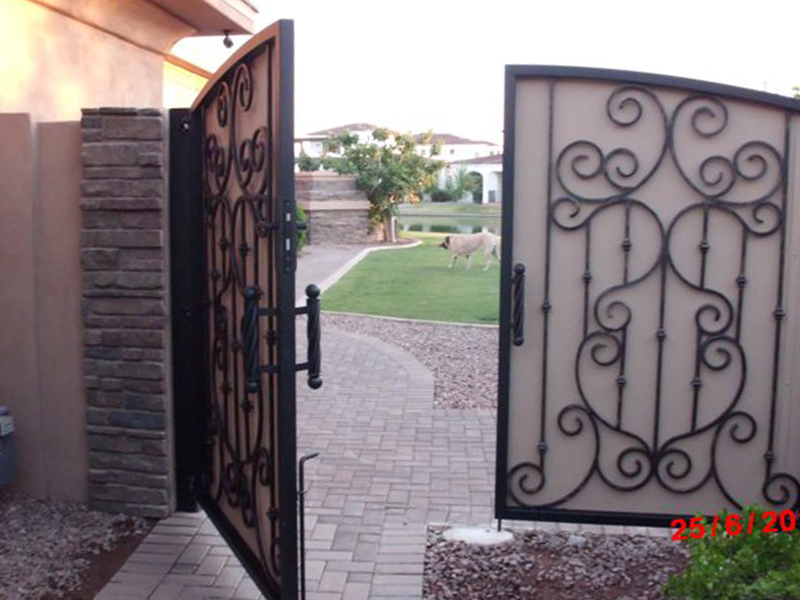 Choose from gravity latch locks, gate closers, slime line locks and more for your gate.